WordPress is definitely the world's most popular CMS. The script is in its roots more of a blog than a typical CMS. For a while now it's been modernized and it got thousands of plugins, what made it more CMS-like. The script as an Open Source is the first choice for most bloggers, but it can also be successfully used for designing simple websites. 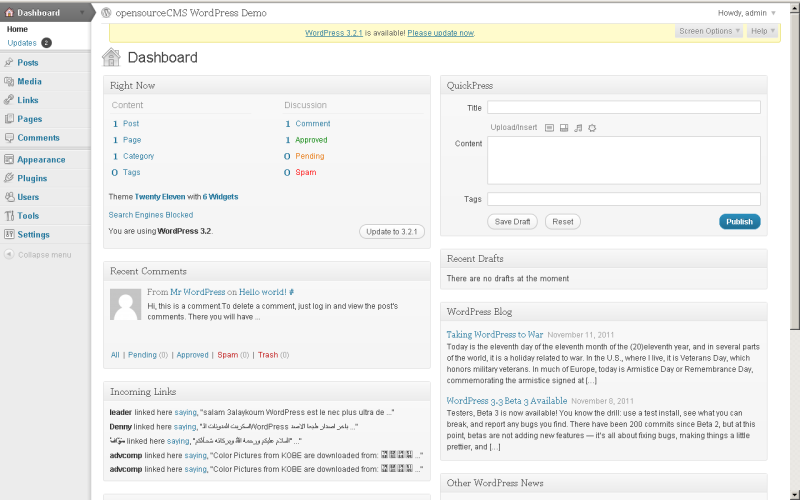 You can download and view the CMS at www.WordPress.org. WordPress does not require PHP nor HTML knowledge unlinke Drupal, Joomla or Typo3. A preinstalled plugin and template function allows them to be installed very easily. All you need to do is to choose a plugin or a template and click on it to install. It's good choice for beginners. To have a useful support, there must be a large community of users, who will be a part of e.g. a discussion board. The script has over dozen thousand of plugins available on its website. They are the reason WordPress is considered a CMS, not only a blogging script. Strong majority of the plugins is available for free. On the scritp's homepage you can view thousands of graphics templates, that can change your website's look. You can find there both free and paid templates. The paid ones are often more advanced as well as more interesting. 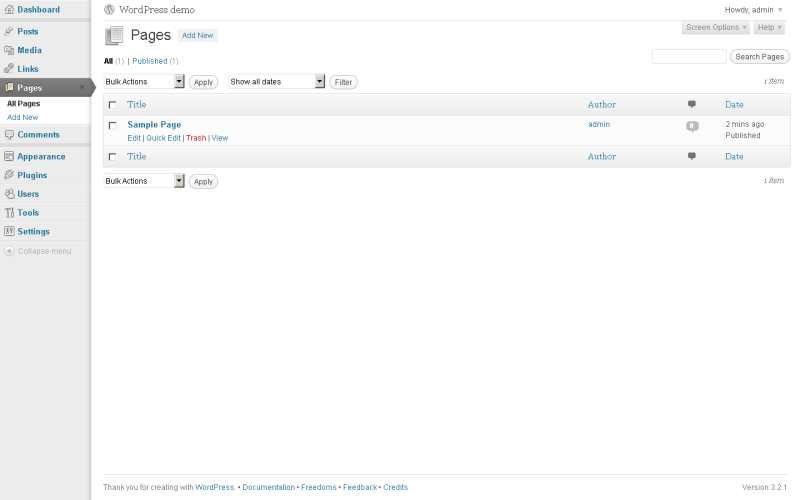 WordPress menu management has extended functionalities, that can be modified to include categories, pages, etc. You can easily add fields to forms by yourself or using plugins. It will allow your blog or subpages to have additional labels, categories or descriptions. Operations like removing a date field requires some understanding of PHP language. It is the case for most of such modifications. Although there are plenty templates available on the homepage, most of them are very alike. To create a unique look, you need to know CSS and HTML. To compete with Joomla! or Drupal, WordPress needs plenty of plugins to be installed. Unfortunately these plugins influence the script's efficiency and not in a good way. Another problem arises when you need to choose a plugin for a specific functionality. Among all the thousands of plugins, most of them have their clones. It means, that any given functionality can be added by several different plugins created by different authors. Sometimes choosing the right one may take quite some time. The script is not protected as well as other applications. It all depends on how sesitive is the additional content of your page. Modifying tables or graphics format can be more complicated than in other applications like Quick.Cms or Joomla. Queries can be complex since all additional non-standard fields that make WordPress a CMS, require additional syntax. WordPress is a very good script to create a simple website. It is one of the simpliest to use (definitely not simpler than Quick.Cms though) of all solutions available on the internet. It's very good choose for a beginner's. Advanced users with advanced needs would have to install many plugins to have what is a standard for Joomla or Drupal. I work on WordPress for about a 5 years. For me it is a good engine. Easy to use, a planty of plugins and themes, and simple modification. I recommend to anyone WP - amateurs and programmers. I lack something in the Wordpress. Evolution of the project goes well, that's great, although this evolution is determined by the original concept to make WP to blogger's system. So if people consider it as CMS system it doesn't mean that it is. Wordpress was planned to serve the bloggers, as simple and easy to use tool, because bloggers usually are not IT people, they are mostly just "blogging". That's why WP doesn't have many options, ( I can refer only to Drupal ) and constructions, which for me defines a portal for high developed website. 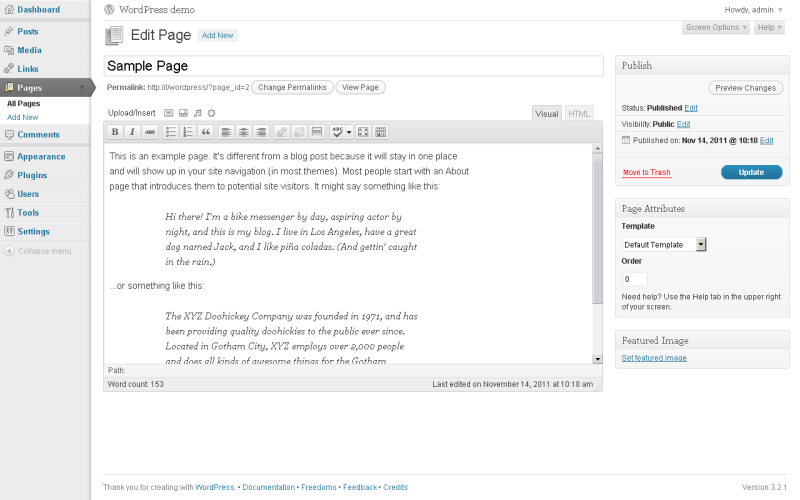 WordPress is simple, you can see it as a blog or as a regular website. Wordpress is vulnerable for hackers because they know the system. Remember to update the site as soon as there is a security update is therefore important. Otherwise use less popular or commercial scripts. Unfortunately wordpress security is all the time under fire. Since v3.9 it's not that big hassle, as WP by default has an enabled automatic update function. The problem stays with hundreds of WP websites based on older versions, which won't be updated in the near future. Second thing are vulnerable extensions. Just by using a prepared URL, getting the content of config files through a hole in popular extensions might become a nightmare. We've host for quite some wordpress websites can say, that there's never too many security steps. Just by using additional extension, bloggers might raise their website security by filtering many popular, automated attacks. WordPress is definitely the world's most popular Contain Management System. The script as an Open Source should be the first choice for most bloggers,but it can also be successfully used for designing simple websites. I use WordPress 7 years for my blog, and WordPress suits my needs and is easy to use. I use Wordpress on all my blogs, but I don´t think I would recommend Wordpress for bigger sites. Wordpress website has more than 30 CSS files which increases load time. Wordpress is one of the best systems for the small or personal website. I love WP because it is like LEGO you can add new parts to it like plugins and themes and you can also uninstall them if you want to change it up. WP is simpl to use as well as well as hend, our own site. Which CMS features are important?